BUDAPEST (Reuters) — Zsuzsanna Czeizel told herself she'd never work again after she retired in 2012. But since October, she's held a job — scanning boxes of sweets in a large warehouse near Budapest. The 65-year-old pensioner is one of a growing number of retirees hired by companies in eastern Europe desperate for workers. Economic growth and an exodus of millions of workers to richer parts of the European Union have left gaping holes in local labour markets. Companies have hiked wages and some turned to automation or acquiring rivals. But for Laszlo Tamasi, who runs a sweets retailer on the outskirts of Budapest, robots are no use — they can't serve walk-in customers. So he hired Czeizel, and four other pensioners, finding them through co-operatives that help retirees get jobs. "In the past two years, we have employed a growing number of pensioners because of the labour shortage," said Tamasi, whose company, SIXI 2000 Kft, had an average turnover of about 4 billion forints (C$18.9 million) in recent years. His pensioners are just five of the 75,000 that government figures show are employed in Hungary, one of the poorest members of the EU. Budapest hopes their ranks could double this year after tax cuts were offered in January to make it cheaper for companies to hire them. "When I retired, I promised myself never to work again, but unfortunately necessity made me do it," Czeizel said, standing by a computer she uses to check out large boxes of sweets. "I was having financial difficulties on a daily basis." Official statistics showed 2.6 million Hungarians, or about a quarter of the population, received a monthly pension of 117,485 forints (C$555) on average last year. If they go back to work, they get to keep both the pension and whatever they earn. Hungary's average take-home pay for full-time workers is 217,600 forints. Czeizel's daughter and one of her grandchildren live in Hungary, but her son moved to Britain in 2005, just after Hungary joined the EU and well before the main wave of west-bound migration started in the first half of this decade. "He moved abroad early because he saw no future for himself over here," Czeizel said. "It seems like he has managed to take root, because they have already bought a house. He is not planning to return." Prime Minister Viktor Orban, whose government has refused to take in immigrants from the Middle East and Asia over fears of a lasting change to Hungary's cultural and ethnic make-up, has said the country has effectively run out of workers. "Even in the longer run ... being the size that we are, the number of people willing and able to work in Hungary will remain between 4.5 million and 5 million," Orban told a news conference last month. Vacancies posted on the Hungarian jobs board profession.hu already reflect a degree of desperation by some businesses. A number of openings are aimed at "career starters, experienced professionals, or even pensioners." 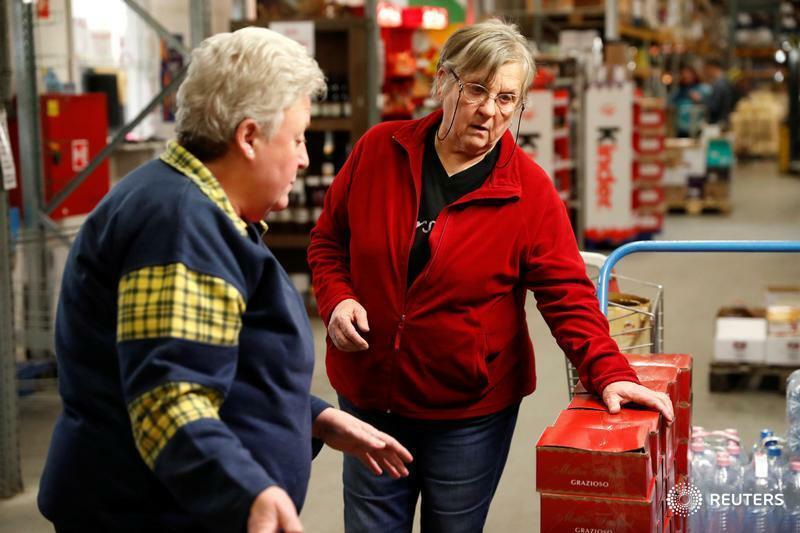 Discount supermarket chain Penny Market posted warehousing jobs targeting pensioners last month. The Hungarian unit of the freight transport company Rail Cargo Group was looking for engine drivers, including pensioners willing to work part-time. Companies in the nearby Czech Republic, which has the EU's tightest labour market and is a model for Orban because of its ultra-low jobless rate, are having problems, too. "I've basically had to beg to get a welder out of retirement and back to work," said Pavel Bouska, the owner of Vafo Praha, a maker of pet food. "It is also a problem of disappearing people with the required skills," Bouska said. Wages for technically skilled workers were soaring because younger people wanted other kinds of jobs, he said. Magdalena Rokonai's company employs about a dozen pensioners in a call centre in the eastern Hungarian town of Miskolc, doing phone surveys for market research companies and pollsters. She says the labour market has been getting increasingly difficult. "Gone are the days when employers dictated unilaterally, saying either you can do it like we want, or we are very sorry," Rokonai said. "Oh, so you can come and work for two hours? Hooray! When can you start?"